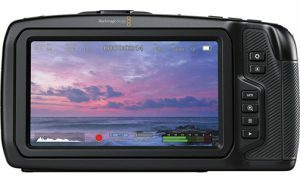 Fremont, CA—The new 4K pocket cinema camera from Blackmagic Design offers professional features in a portable and affordable form factor. The lightweight, carbon fiber reinforced composite body is constructed for durability in a range of conditions. In addition, the compact camera’s full-size Four Thirds sensor produces 4,096×2,160, DCI 4K resolution along with 13 stops of dynamic range. Built for true digital film quality, the handheld camera’s sensor reduces the crop factor and provides a wider field of view. 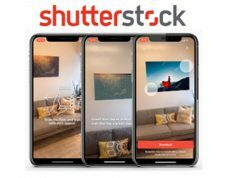 The new pocket cinema camera is marketed for shooting independent films and documentaries, fashion shows, travel blogs, web videos, weddings, corporate video as well as sports. It supports various file formats, including CinemaDNG RAW, RAW 3:1/RAW 4:1 and ProRes 422 options. With dual native ISO settings up to 25,600, it’s engineered for low-light performance. 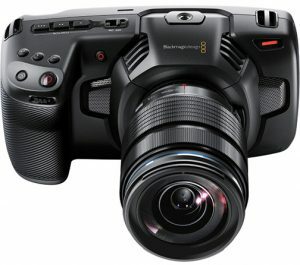 Moreover, the 4K pocket cinema camera records at up to 60 frames per second in 4K as well as slow motion rates up to 120 fps in cropped Full HD. The camera also employs fourth-generation Blackmagic Design color science with film, video and extended video modes. A new extended mode was added to provide users with the latitude of film and the convenience of video, to reduce postproduction time. Created for handheld operation, the camera’s external controls give quick access to essential functions. Furthermore, its bright, 5-inch touch screen makes it easier to frame shots, focus and change camera settings. 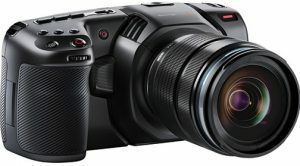 With built-in microphones boasting a low noise floor and a mini XLR input, Blackmagic’s 4K pocket cinema camera is also engineered to provide high fidelity audio recording. As a result, users don’t have to carry a separate sound recorder. In addition, the camera’s mini XLR input with 48 volts of phantom power allows for connecting professional microphones, such as lapel mics and booms. Also integrated is a 3.5mm stereo audio jack, so shooters can use different types of video camera microphones. Also, the camera’s menu and interface are the same as the ones found on Blackmagic’s URSA mini camera. And 3D LUTs can be applied for monitoring. The cinema camera also offers various mounting points and Bluetooth control. In addition, it uses the same Micro Four Thirds lens mount as Blackmagic’s original pocket cinema camera. As a result, cinematographers can utilize the lenses they already have. 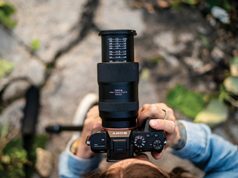 Moreover, the MFT mount is specifically for smaller camera bodies with shorter flange focal distance, which means it accommodates smaller professional lenses. The MFT mount also works with different lens adapters. Optional adapters are available for PL, C and EF mounts. Consequently, the camera supports lenses from manufacturers like Canon, Nikon, Pentax, Leica and Panavision. Furthermore, when it comes to recording, the camera accommodates three kinds of media. 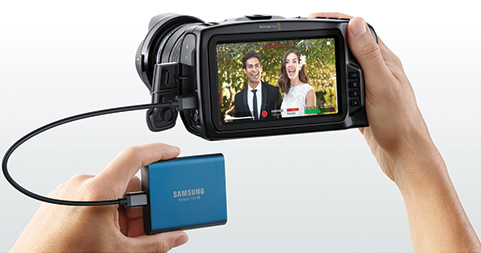 Images can be recorded onto standard SD cards, faster UHS-II cards or CFast 2.0 cards. High-definition video can be recorded using inexpensive SD cards. And higher performance UHS-II cards can be used for recording 60-fps UHD in ProRes and 30-fps RAW. CFast cards also can record 12-bit RAW at all supported frame rates. For longer recording times, shooters can record directly to an external SSD or flash disk using the camera’s built-in, high-speed USB-C expansion port. The massive bandwidth of USB-C makes it possible to connect external accessories, such as flash drives and SSDs for longer recording times. 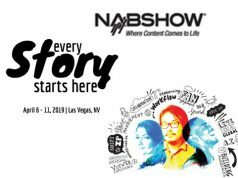 This can be important when shooting high-quality lossless 12-bit RAW or 60-fps 4K video. In addition, the camera can be powered using a rechargeable Canon LP-E6 type battery or its included power supply. Moreover, its files will work with all professional postproduction software. 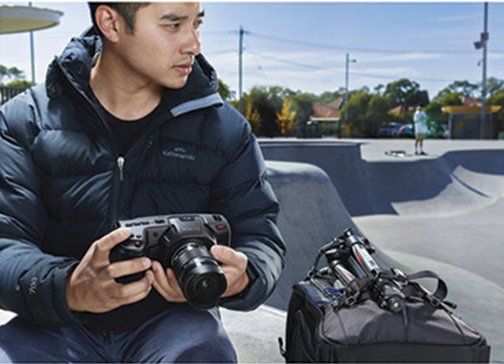 This includes the DaVinci Resolve Studio software that’s bundled with the pocket cinema camera. The software provides professional editing tools, visual effects, color correction as well as audio adjustment in postproduction.